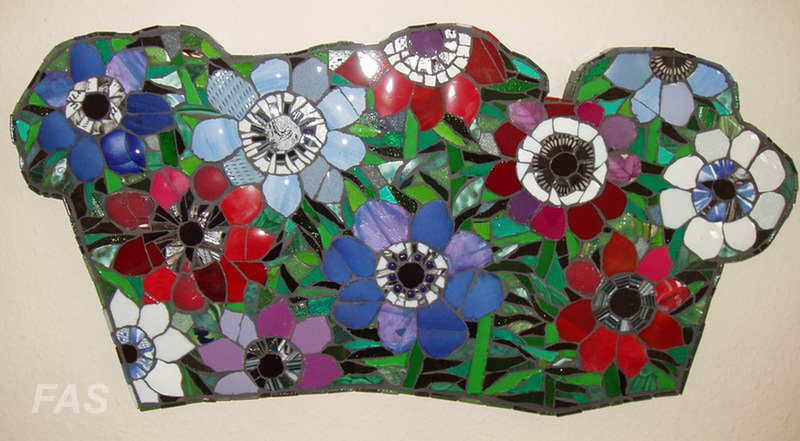 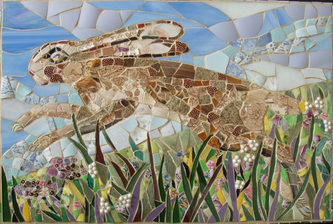 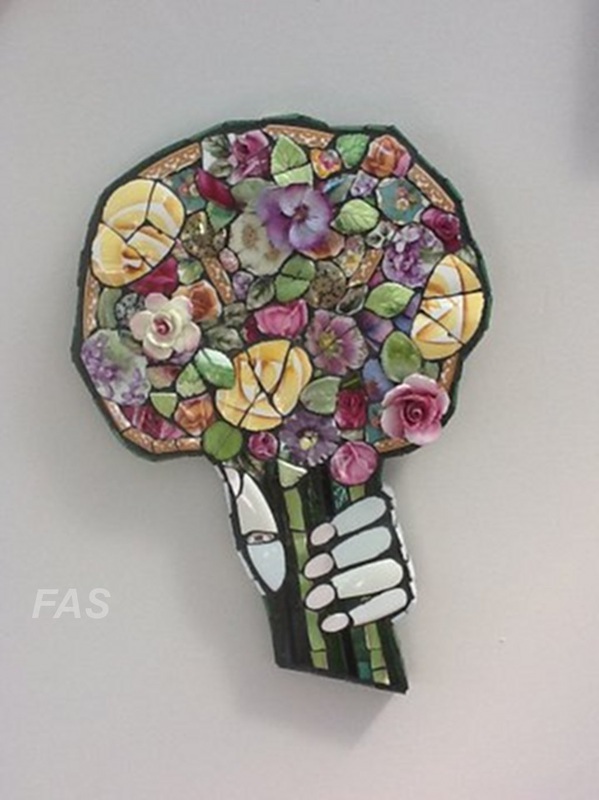 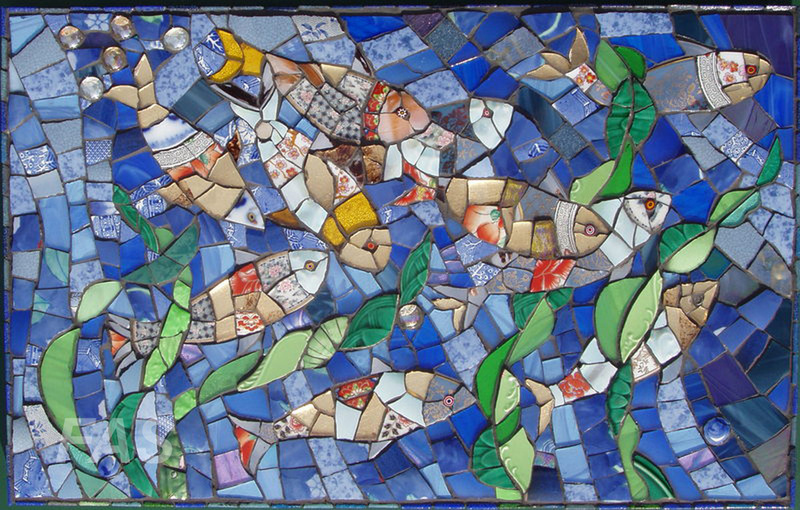 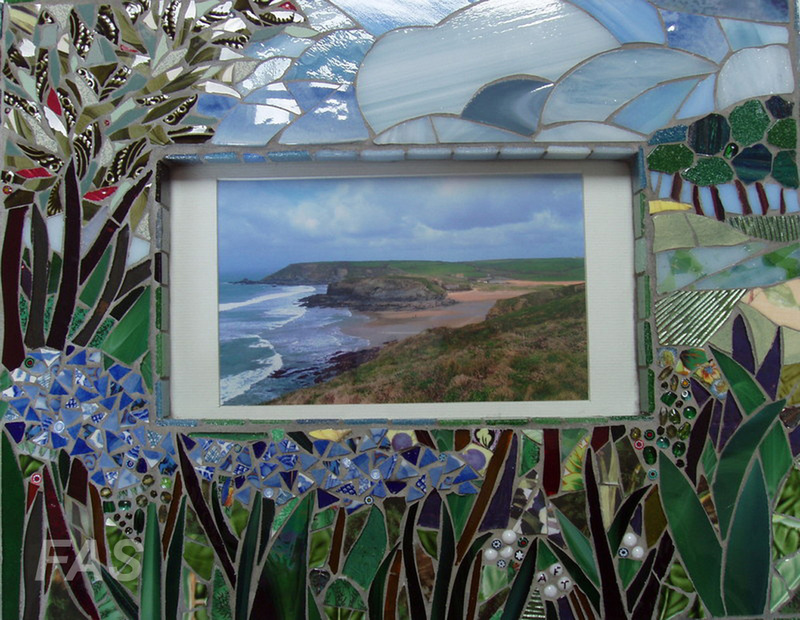 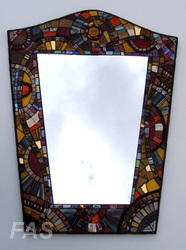 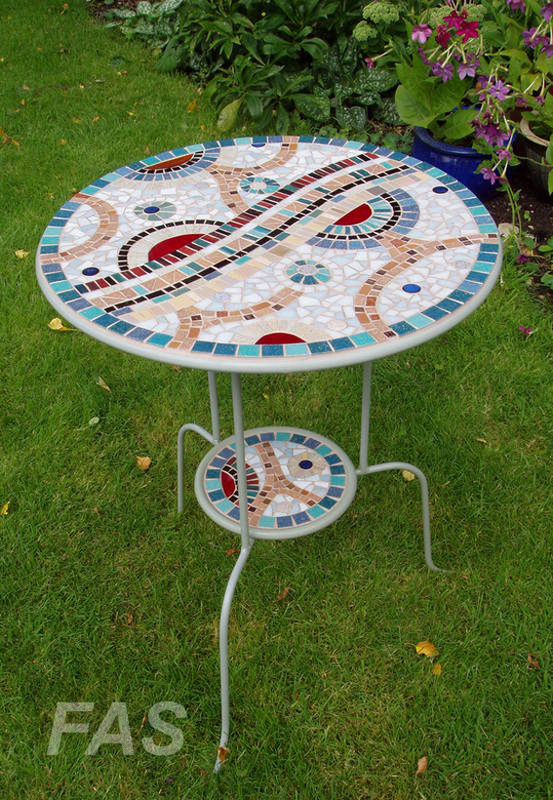 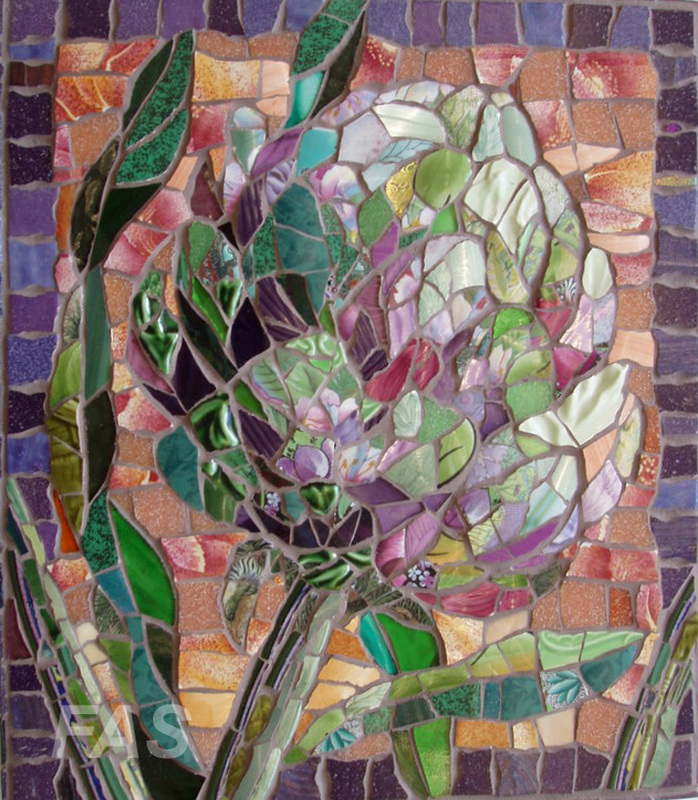 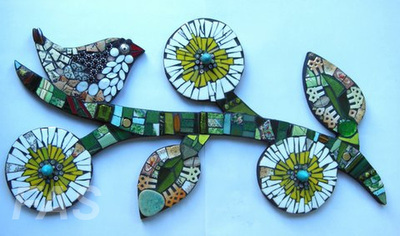 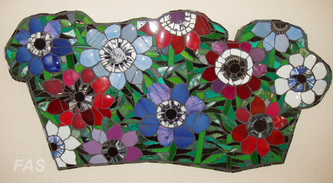 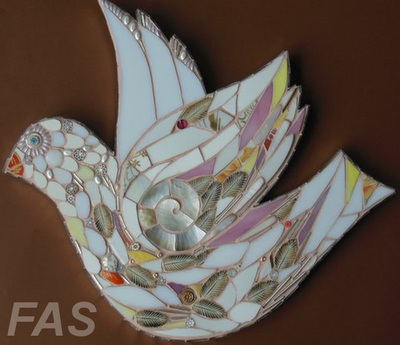 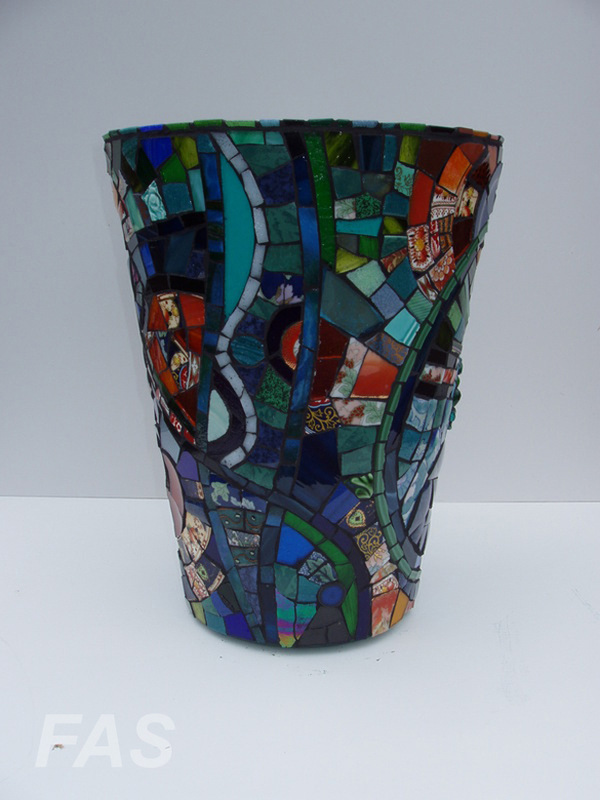 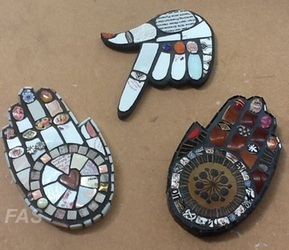 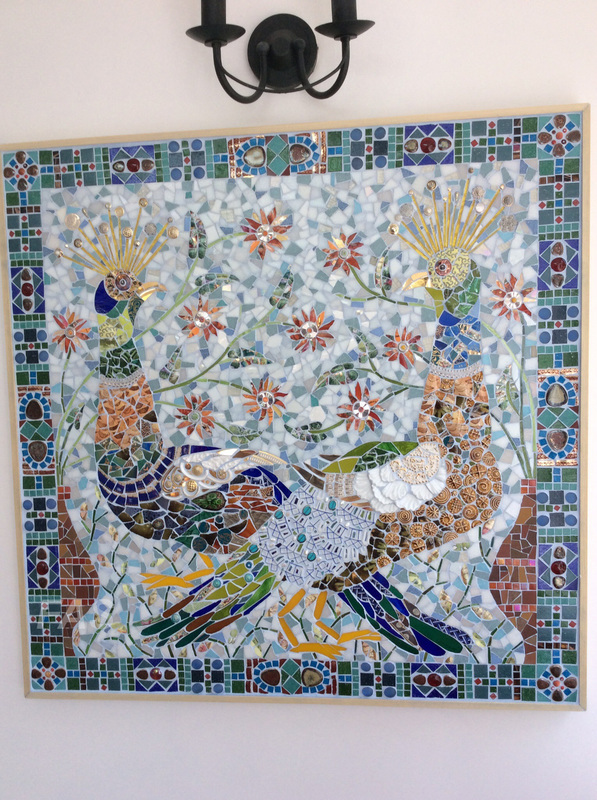 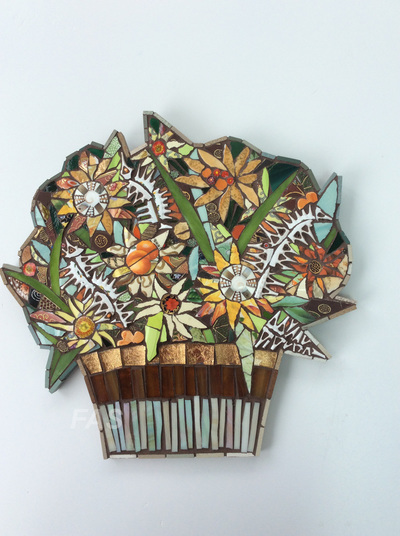 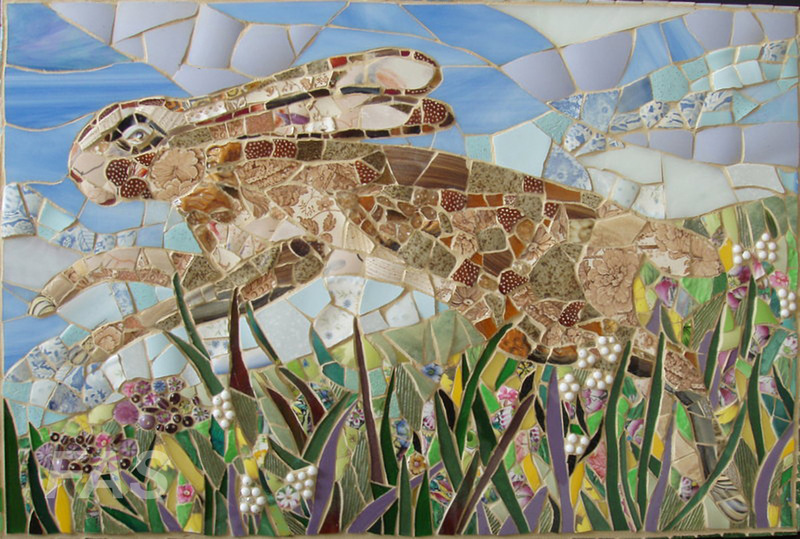 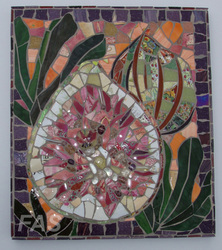 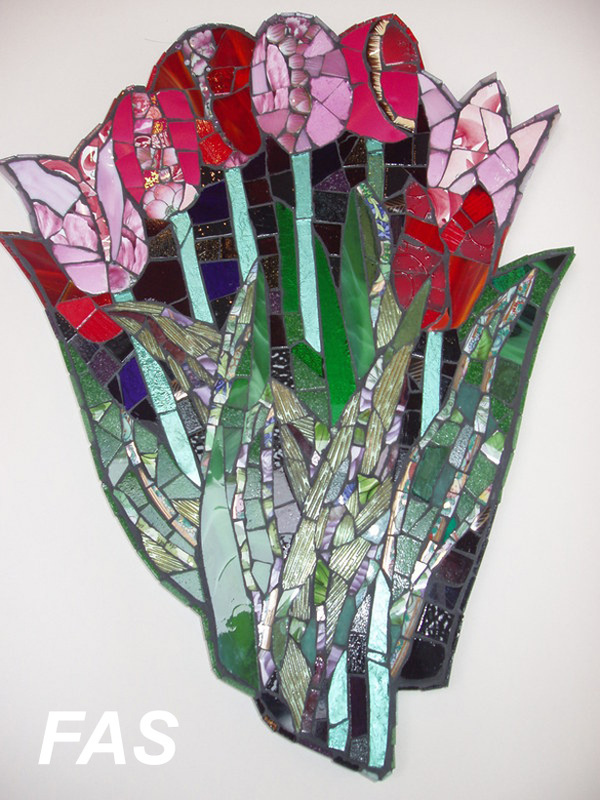 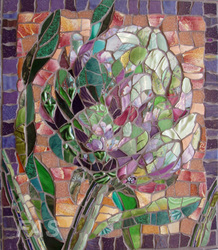 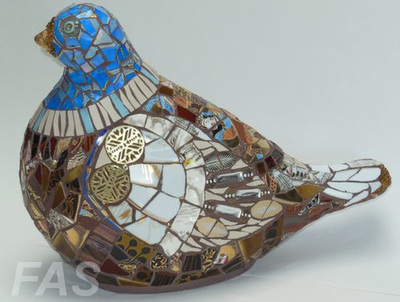 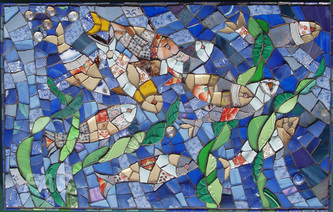 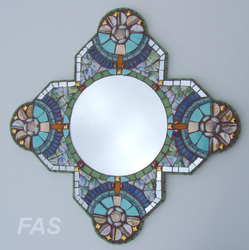 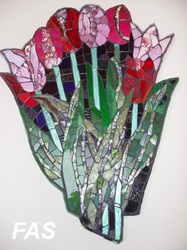 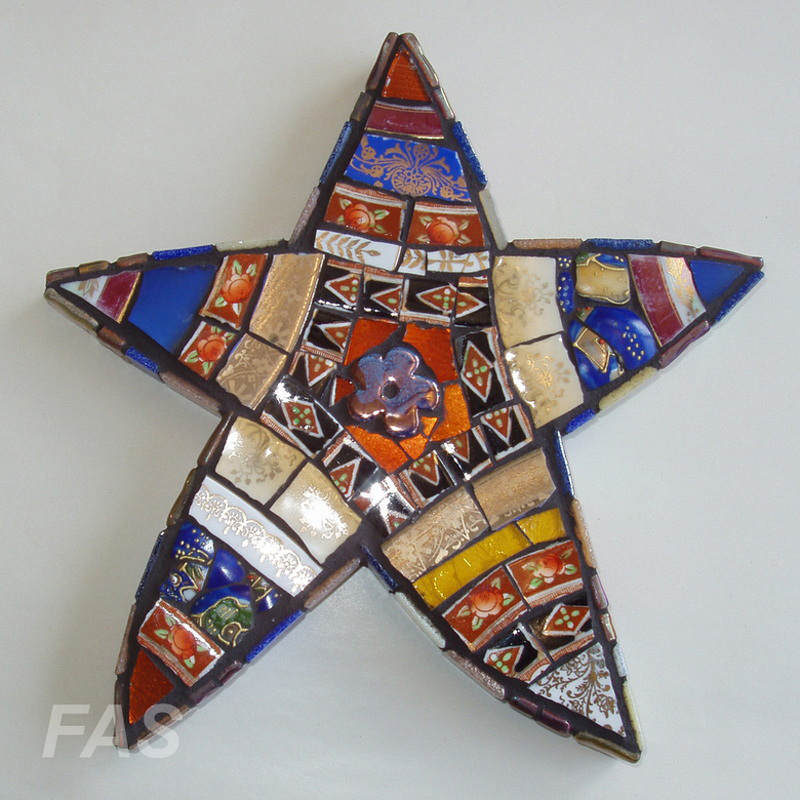 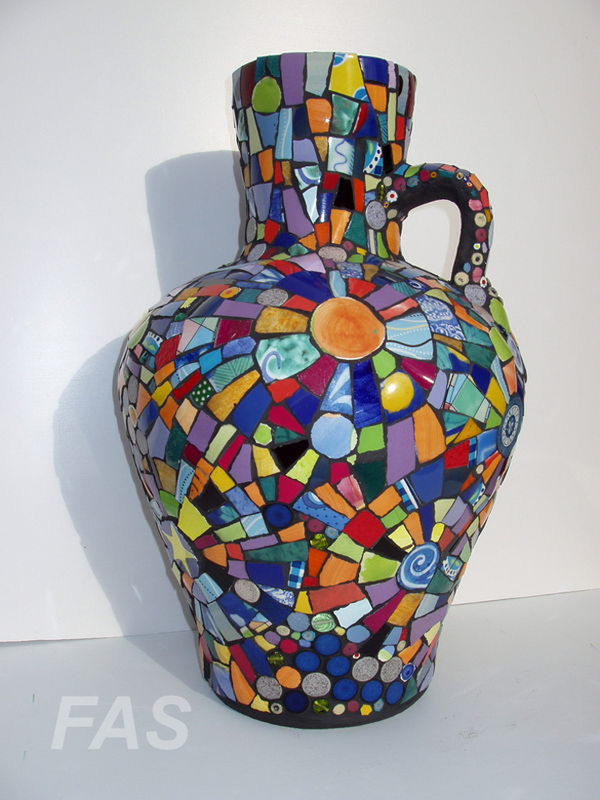 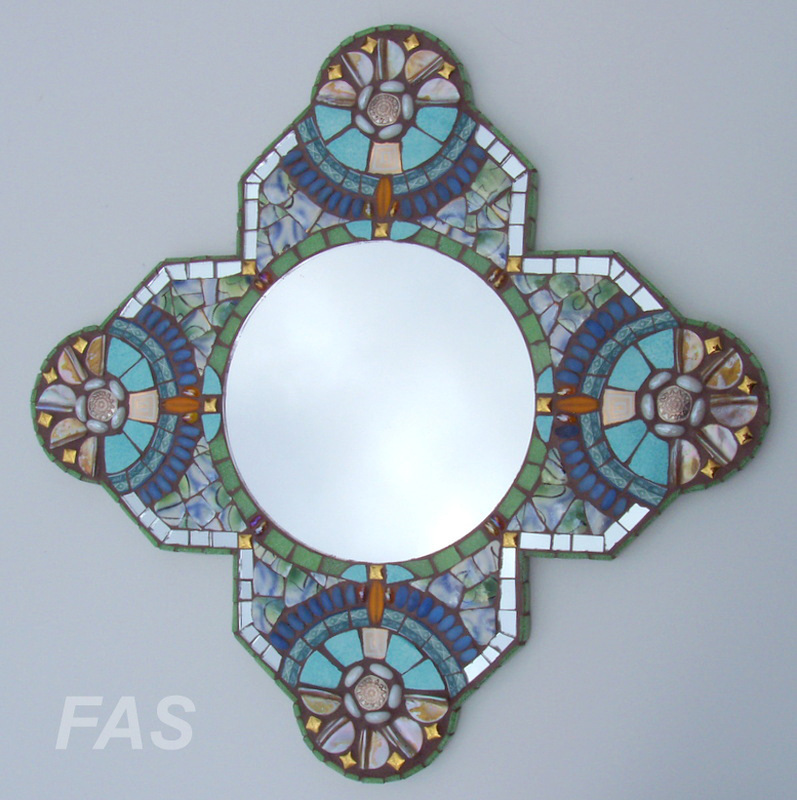 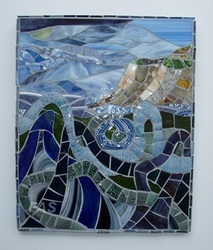 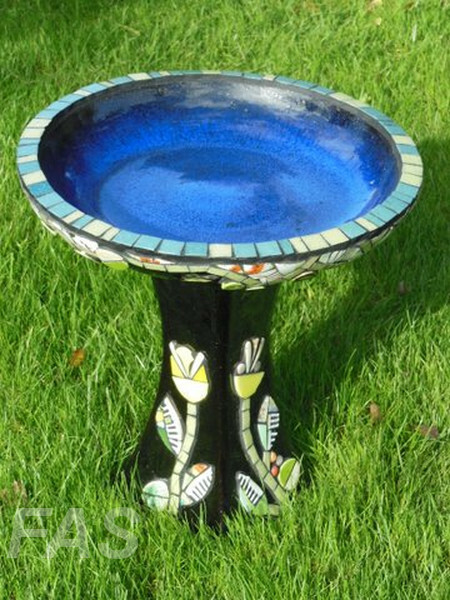 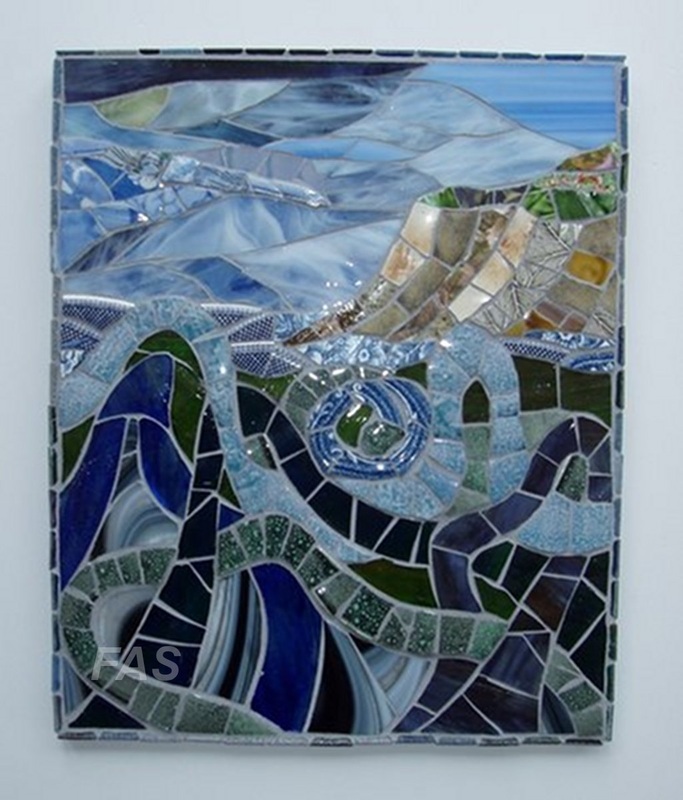 Trained as a textile designer, Jo has transferred her love of colour and texture into the art of making mosaics. 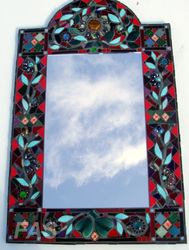 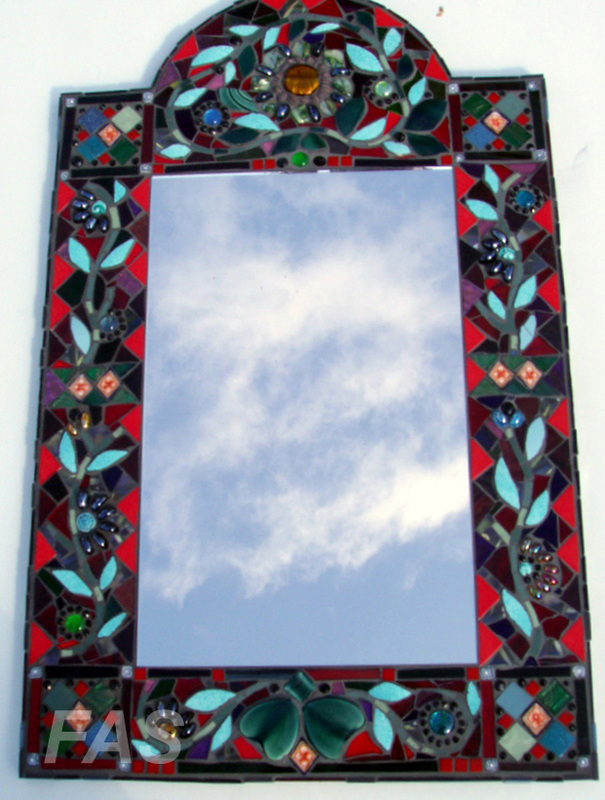 Using ceramics, china, glass, mirror and tiles in different ways she makes unique pieces which reflect her interest in the natural world. 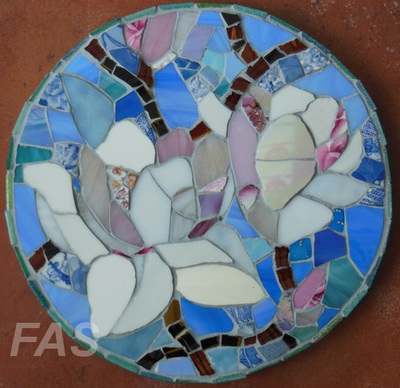 The way that light is reflected on the different surfaces and textures, the depth of colour in the glass and the variety of the decorative china she uses is truly inspiring.